The lowdown: A surprise second helping of the Harry Potter-esque saga, this time seeing half-human/half god Percy and his pals searching for the Golden Fleece. But, like Jason and his Argonauts, the quest for the fabled blanket is beset by fantastical beasties. Good family fun that zips along at a brisk pace, but has lost some of the big name stars from the constellation that made up the first Percy Jackson adventure. The full verdict: 2010’s Percy Jackson and the Olympians: The Lightning Thief was a passable attempt to fill a rapidly approaching Harry Potter shaped hole, but did not share the magic that turned the boy wizard into a giant money box. 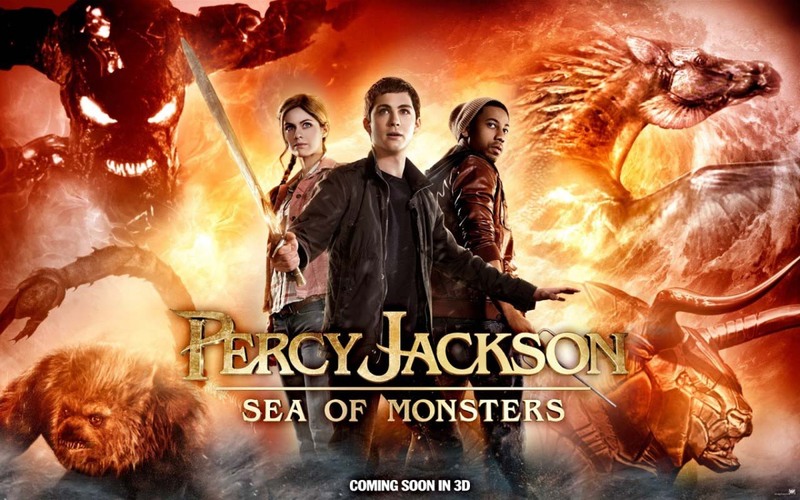 Percy Jackson: Sea of Monsters has a less cumbersome title, but has also stripped out some of the charm and heart of the first installment. Half-human son of the God Poseidon, Percy (Lerman, channeling Daniel Radcliffe) is still at Camp Half-Blood, with pals Annabeth (Daddario, ditto Emma Watson) and Grover (Jackson, ditto Rupert Grint). He’s also joined by his Cyclops half-brother Tyson (Smith) and spunky Xena-alike Clarisse (Rambin). For reasons far too complicated to go into (a dying God tree is involved), they must find the Golden Fleece to save their camp. But, arch-nemesis Luke (Abel), son of Hermes (Fillion), is also hunting the fleece for his own world-threatening ends (which are exactly the same as the plot of Wrath of the Titans). Lightning Thief director Chris Columbus (who also helmed the first two Potters) has passed on the megaphone to Diary of a Wimpy Kid helmer Thor Freudenthal (whose first name must have influenced the decision). Freudenthal injects sufficient thrills and spills into the action set-pieces and has fun with a weaponised mechanical bull, a wave-riding escape from Luke’s boat, a malevolent Cyclops and a showdown with a particularly nasty God. But, an episodic script has trouble finding an emotional hook to hang all this adventure on, reducing the quest to teen squabbling on more than one occasion. And despite competent CGI, there is a sense of penny-pinching about Sea of Monsters. 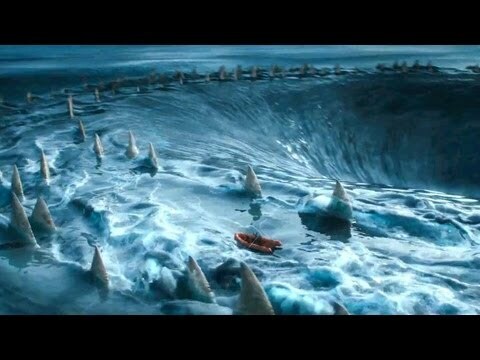 Or more accurately Sea of Monster, there being only one (barely glimpsed) leviathan to be had. Also absent are the mythical beings and the actors who played them. No Sean Bean as Zeus, Kevin McKidd as Poseidon, Steve Coogan as Hades, Uma Thurman as Medusa or Pierce Brosan as centaur Chiron (who does return, played by Anthony Stewart Head). Deity duties are largely left to the always wonderful Fillion, whose comic turn as Hermes lifts the movie just as it is beginning to sag (and includes a neat Firefly aside) and Tucci as the buffoonish Dionysus. Teens will enjoy the sound and fury and attractive cast, but if book three, Percy Jackson: The Titan’s Curse, is to make it to the screen it needs to be in bolder hands than these.